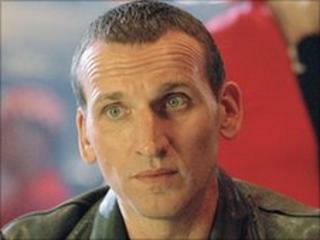 Former Doctor Who star Christopher Eccleston has been cast as a drug lord in a new BBC thriller, The Shadow Line. The actor - who recently played John Lennon in the BBC's Lennon Naked - is joined in the cast by Chiwetel Ejiofor, Sir Antony Sher and Stephen Rea. The six-part "noir thriller" looks at the impact of an underworld figure on a wide range of characters. Written, produced and directed by Hugo Blick, the series will be filmed in the Isle of Man and screened next year. Blick's previous work includes Marion and Geoff, a dark comedy series which starred Rob Brydon. The cast also includes Rafe Spall (Desperate Romantics), Kierston Wareing (Fish Tank, Five Daughters) and Lesley Sharp (Playing the Field, Clocking Off). The BBC casting announcement said they play "diverse individuals whose worlds become interwoven after the murder of drug baron Harvey Wratten". Ben Stephenson, BBC controller for drama commissioning, said: "I am thrilled that we have attracted such world-class talent to Hugo Blick's thrilling scripts. "Chiwetel and Chris are two of our finest actors and we couldn't be more excited to have them, and the rest of the amazing cast, on board for this original and epic six-hour series." Filming begins in the Isle of Man this month.